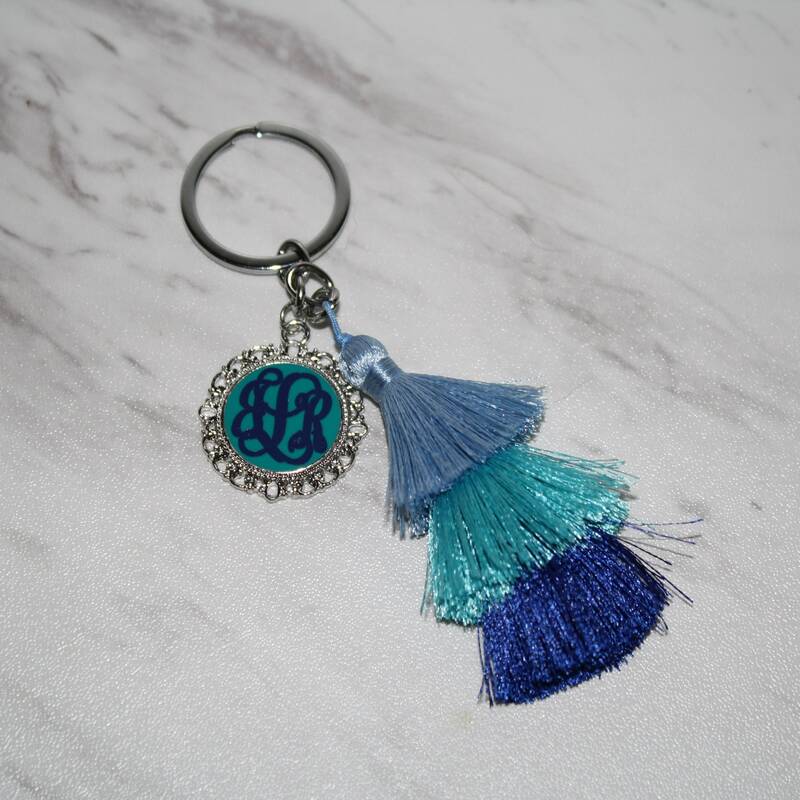 Make your keys stand out and easy to find with our super fun Monogrammed Fringe Key chain. 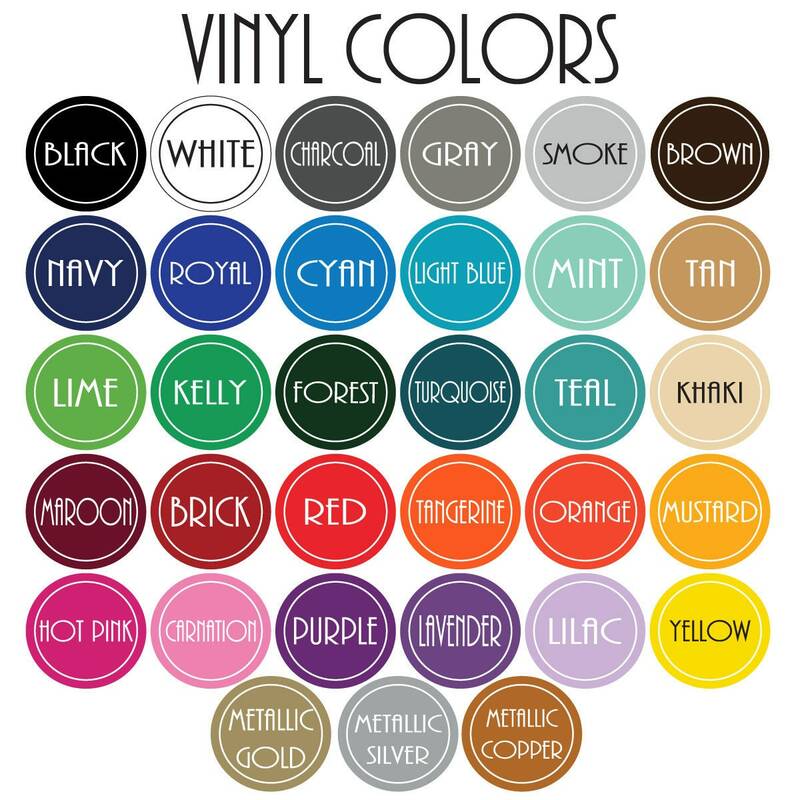 The high quality outdoor sign vinyl in a color matching the metal is featured on a 1" disk surrounded by a beautiful filigree detail and the tri-color 3 inch fringe tassel adds the perfect touch of drama. 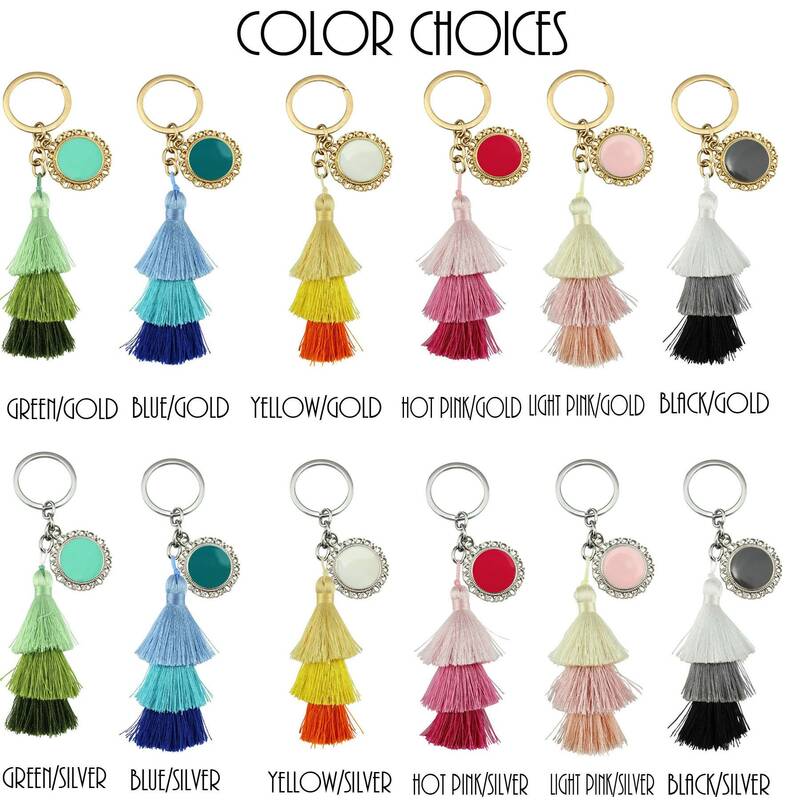 These make a great gift! To order please leave the monogram exactly as you would like it to appear in first, LAST, middle initial order. For example Amanda Marie Jones should be submitted as aJm. 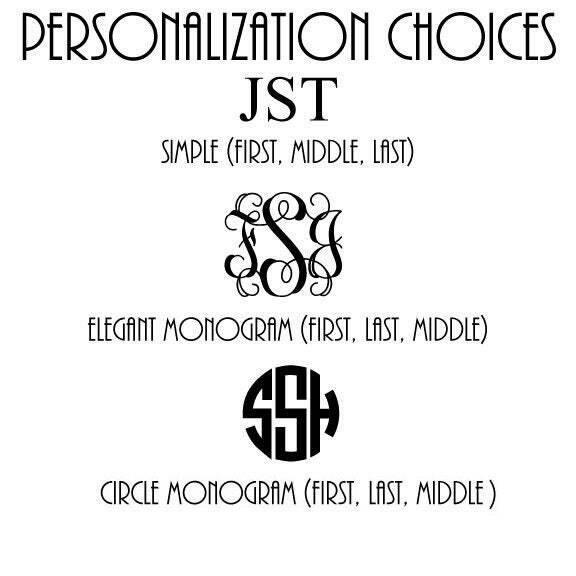 Our circle monogram also looks great with 2 initals! Ordering 4 or more? Contact us for a discount code! *Would you like a proof of how the name will appear? Items take up to 1 week to ship and cannot be rushed once processed. Items ship via USPS first class mail. Please check the store information for more info on shipping times. On certain occasions products can be rushed. Please contact Beau Trésors for more information.